plotPhaseNoiseFilter(blockname) plots the response of the phase noise filter associated with the Phase Noise block specified by the variable blockname. This example shows how to use the plotPhaseNoiseFilter function to view the filter response of a Phase Noise block in a Simulink model. Load a Simulink model that contains a Phase Noise block. The load_system command loads a model into memory without making its model window visible. The function will also work with models whose window is visible. The example, slex_phasenoise, contains a Phase Noise block. 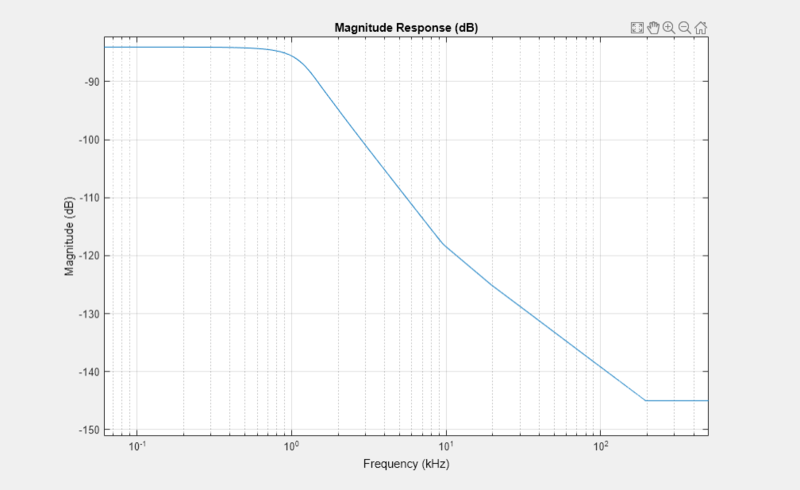 Run the plotPhaseNoiseFilter function to view the filter response of the block Phase Noise.